According to The One Hundred Year Study on Artificial Intelligence, lead by Stanford University, artificial neural networks can now be trained with huge data sets and large-scale computing (deep learning), boosting data-driven solutions for improving decisionmaking. Artifical neural networks are computing systems inspired by the biological brain neural networks. As previously written in part one and part two of this article series, human beings base their choices on limited knowledge, increasing risks and inefficiencies. AI offers the opportunity to emulate human cognitive capabilities for sophisticated tasks, with the potential to reduce risks and enhance positive outcomes, through these artificial neuron networks. Data generated by sensors in farms, on the field or during transportation, offer an unprecedented wealth of information. Consequently, artificial intelligence applied to agriculture can potentially optimize and increase yields, improve farm planning, optimize resources, and considerably prevent waste. It is estimated that by 2020, more than 75 million agricultural connected devices will be in use, while the average farm is expected to generate an average of 4.1 million data points every day in 2050. 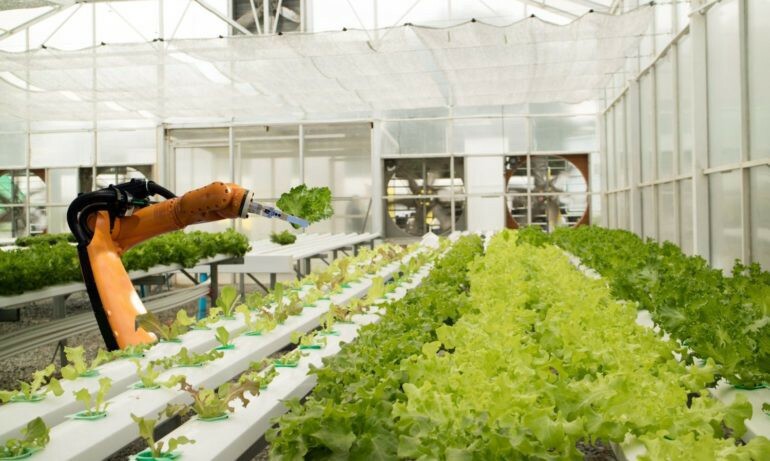 There are several examples across the farming industry: from precision weeding and picking to disease recognition, artificial intelligence has the potential to carve out new scenarios for the farming system. A group of researchers at Cornell University recently published research explaining how they built and trained a neural network able to identify brown leaf spot disease on cassava leaves with 98-percent accuracy. CAMP3 deploys and manages wireless sensor networks for collecting fields images and automatically spot plant diseases and pests early on. For precision weeding and picking, Abundant Robotics recently raised US$10 million for building a robot able to pick the right apples. Another example is Vision Robotics, a San Diego company working on a pair of robots that would trundle through orchards plucking oranges. These types of solutions have the potential to save farmers millions of dollars in labor costs and spoiled fruit, tackling the 1.3 billion tons of food lost (US$750 billion) each year. AI also has the potential to positively impact soil health. Each soil tablespoon contains millions of microbes that form an ecosystem for the plant, and companies such as Trace Genomics are ablere to extract the DNA from soil, analyze its microbial community, and provide AI-based recommendations for maximizing soil health and crop yield. Global food security is one of the most pressing issues for humanity, and agricultural production is critical for achieving this. Plant and animal diseases, environmental degradation, and climate change are all pressing issues affecting the global population. Now those working with artificial intelligence and machine learning are hoping to shape a new Green Revolution: the sooner we start looking at it, the bigger will be the value we all take out of them.